RelaDyne begins its sixth year as an integrated business by acquiring Parker Oil Company of Kansas/Missouri. 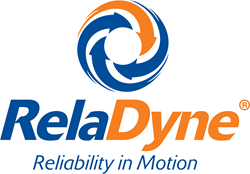 RelaDyne continues to be the partner of choice for many companies in the fuel, lubricant, and services business. RelaDyne, one of the nation’s leading providers of lubricants, fuel, diesel exhaust fluid (DEF), and industrial reliability services, begins its sixth year as an integrated business by acquiring Parker Oil Co., Inc., a family-owned lubricant distributor headquartered in Wichita, Kansas.